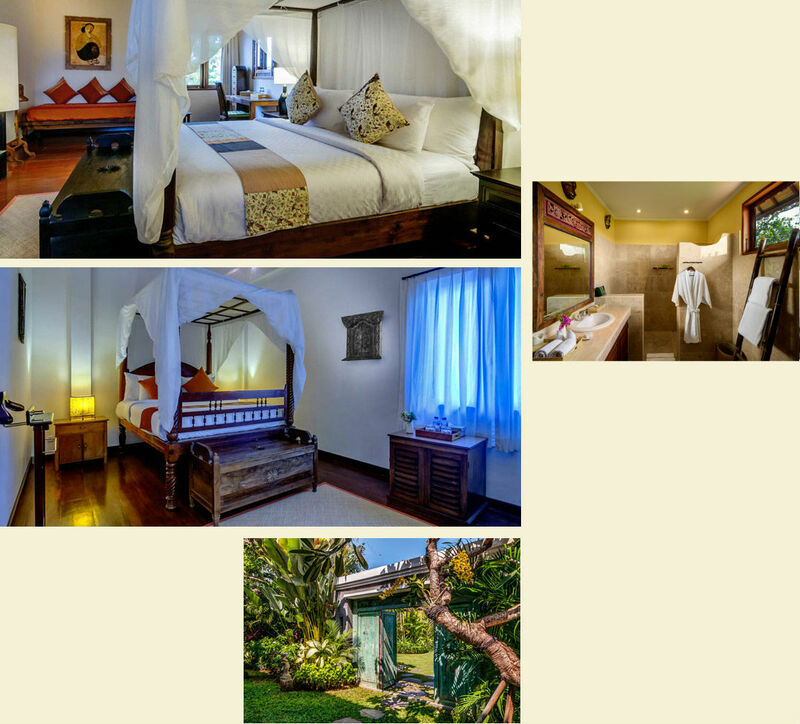 These two charming and traditional Balinese villas are a reflection of the island’s spirit and were designed for friends by friends, who fell in love with the culture and tolerance of Bali and knew it was the place for them. Each villa has a private swimming pool with shallow ends especially created for children. These are extremely popular with families and are often rented together. The ground floor of each villa contains an air-conditioned master bedroom, complete with en-suite, and features a spacious open-plan living & dining room which has a fully-fitted kitchen and bar, and is cooled by a ceiling fan. * An interconnecting door allows guests the option of joining both Tropical Villas to create a massive six-bedroom villa. The 4 Colonial Villas are simple yet elegant with cool limed-terracotta floors and white walls, columns and ceilings from where ceiling fans lazily swirl cool air through the living room. 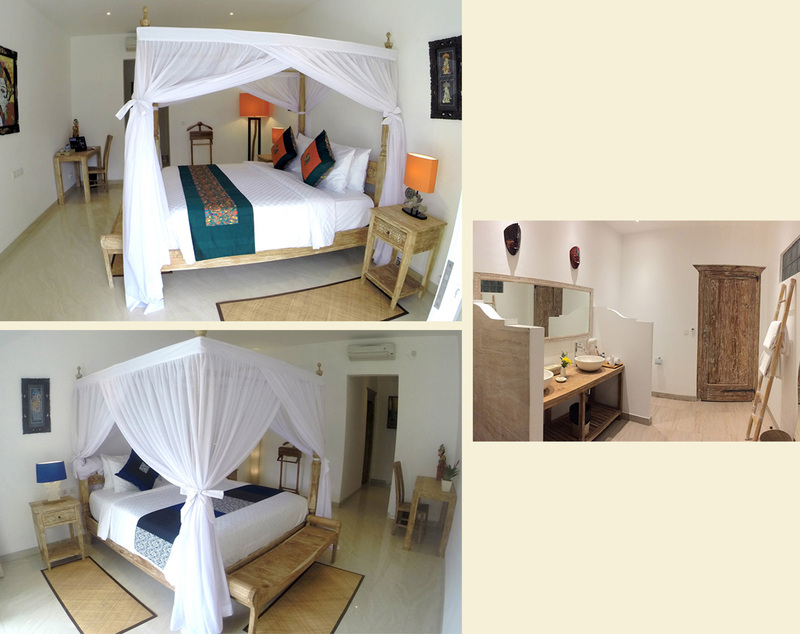 Each of the bedrooms has a king size bed romantically draped in mosquito netting, batiks, en-suite bathrooms and air-conditioned. Hevea Two Bedroom,Two Bedroom De Luxe and Hevea Vanda 3 Bedroom have an interconnecting door between the rooms, making it ideal for families with children. The open-sided living room looks out over the garden and is filled with comfortable furnishings, antiques, a wooden dining table and a fully-equipped kitchen complete with bar. * A discreet interconnecting door offers guests the option of a three-bedroom rental option.